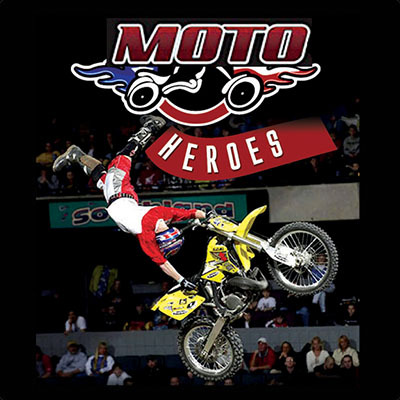 MOTO HEROES | Love Productions Inc.
Freestyle Motocross has become a leading spectator attraction and is now one of the leading crowd-pullers. Packed program of acrobatic stunts performed by FMX team: at up to 35 feet above the ground, or around height of an average house and over ground distances in excess of 100 feet! And just in case you don’t believe what you are seeing the riders even provide an on-board commentary while performing some of their hair-raising stunts.